September is my favourite month. I love autumn and the slightly cooler days that require layers, richer colours and pumpkin spice lattes (jk- I'm an americano gal). As we all adjust our wardrobe and beauty habits for the fall, why not make a few home updates as well? 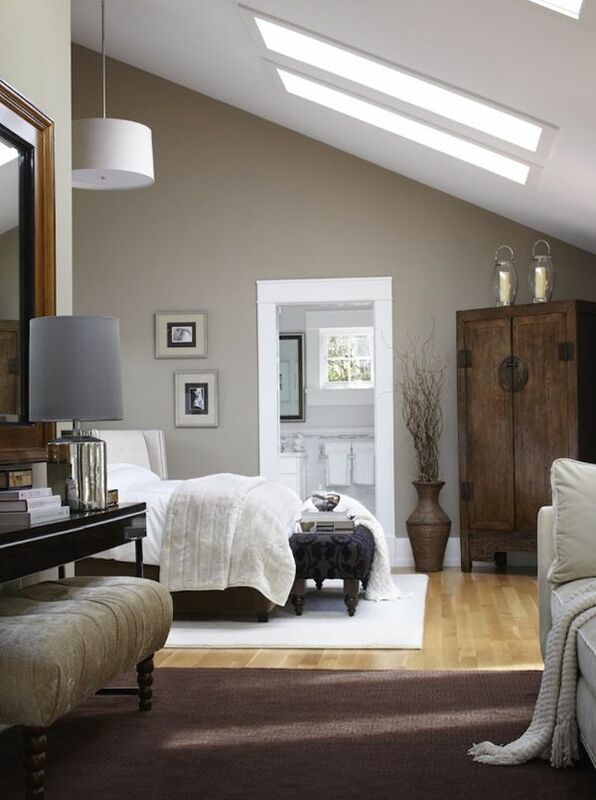 Chances are as the weather cools down, you're likely to be spending more time indoors in the months ahead and just a few small changes can make a home perfectly cozy and ready for the colder months. After all, no one wants to be stuck indoors watching Netflix (because we all know that's what you're doing) in a totally uninspired space. Here's a few of my favourite easy updates! When it comes to a freshen up, the biggest bang for your buck is paint. Paint is an inexpensive and easily changed update that might require a bit of work on your part, but with the help of a friend (or a few) and a few hours, you often need only a can or two to update a few rooms or open area. Make sure to select a paint that works with your existing finishings (ie baseboards, millwork, cabinets, flooring) but have some fun with it. Whether you're painting a feature wall or a whole room, you're guaranteed to seriously update your space. Tip: Spend the $5 on the sample paint and paint a few test patches to view the color in different areas of the room in different times of day. 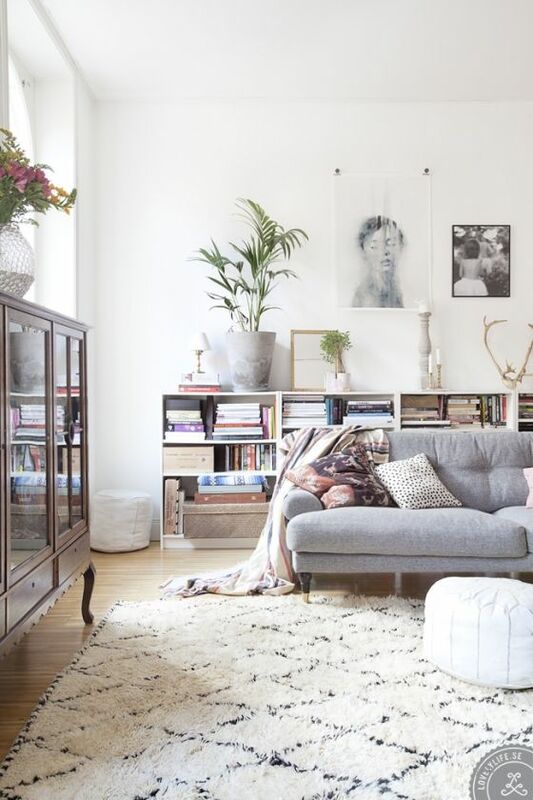 Get some inspiration from a few of these cozy spaces below! Whether you go bold, grey, add some color or brighten up a room with fresh airy paint, it makes such a big difference to a space. Not quite ready to bust out the paint rollers? No problem! A few cozy accents in the form of textiles can add warmth, texture and interest to any space. It's amazing what a few funky toss cushions and soft cuddly blankets can do to even the drab-est of sofas or chairs. One of my personal favourites are the $9.99 "fur" throws from Ikea that I love to drape over chairs - instant chic and cozy! For me, fall means cozy nights in surrounded by candles. I love candles and the pumpkin, apple, vanilla, spice-y ones tend to be my fave for the cooler months. Plus, not only do candles smell great and add ambiance, they look cute too, which is always never a bad thing IMO. Splurge on a Baies candle, or buy the basic scentless at the dollar store - budget is not a barrier when it comes to cozy-ing up your home and amping the ambiance with a little help from these small touches! Gold, brass and warm metals are not going anywhere in terms of trending home accents and these beauties can add to the warmth and coziness of a room. Whether you're adding small pops of warm metals in little vases or candle holders or larger pops of it with lamps or large artwork, you're guaranteed home style points with these fab metal accents. Here's a few of my favourite metallic accents to add to your home this fall!